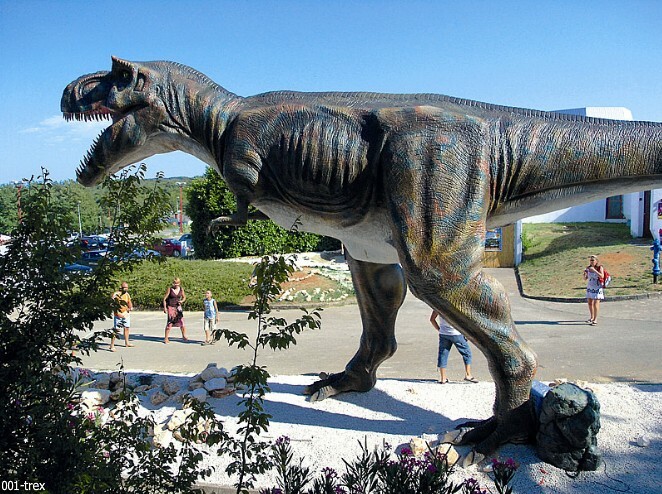 The first Croatian show and theme park is located in the heart of Istria, about 25 minutes drive fromthe Slovenian border, not far away from Poreč. 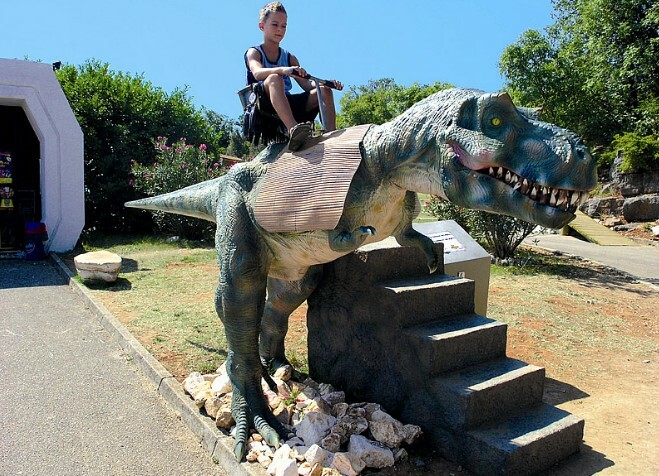 One part of the park is located in an old quarry withmoving dinosaurs in life-size, surrounded by beautiful nature, trees, with more than 1 km woodentrack. 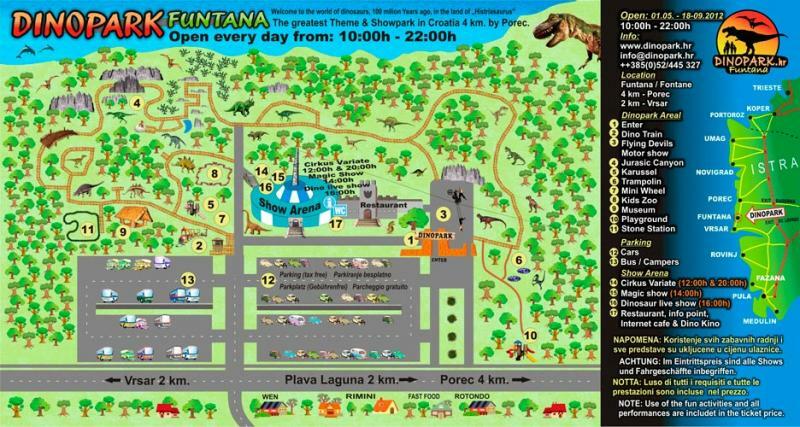 Dinopark Funtana was opened in 2009. Since then, every year the bid has increased to reachthis, what we can offer you today. 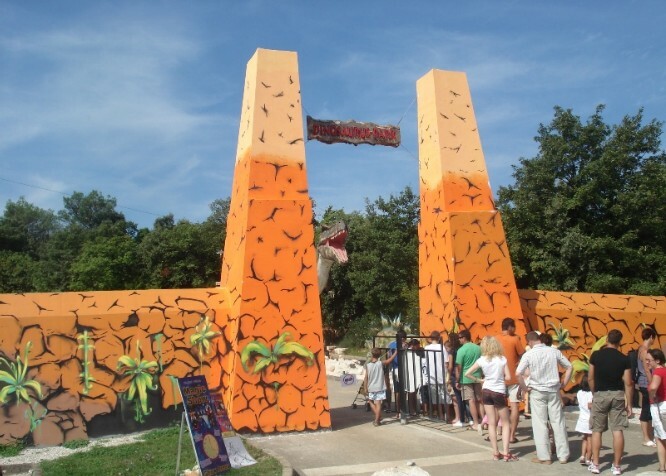 Besides dinosaurs Dinopark Funtana offers fun, adventureand memorable experience for the whole family. In the park we also provide other types of entertainment. In our SHOW-ARENA with 900 seats there are performed daily performancesVARIATE-CIRKUS and MAGIC SHOW. Arena also contains a restaurant, internet cafe, dino theater,playroom. Outside there is a children’s train, trampolines, swivels, dino-shooting range, playground,gazebo, riding on pony horses and dinosaurs, and you have the opportunity to see the performancesof daily driving motor on the wire at a height of 25 m, performed by a group called FLYING DEVILS.The fun part, and all performances in Dinopark are free. Head out on a journey into the past and experience visually and acoustically the unusual creaturesthat ruled the earth for millions of years. Get ready to meet with the most creepy creatures that era. Extinct, does not mean that in the 21st century we can not again “revive.” With the latest computertechnology, our dinosaurs are able to move realistically. Some of our exhibits are designed by thecompanies that have participated in the production of the same in the film industry as well asdocumentaries. Walking along the wooden walkways through beautiful karst forest with interestingrocky gorges scenery along the magnificent giants of the past is an unforgettable experience. 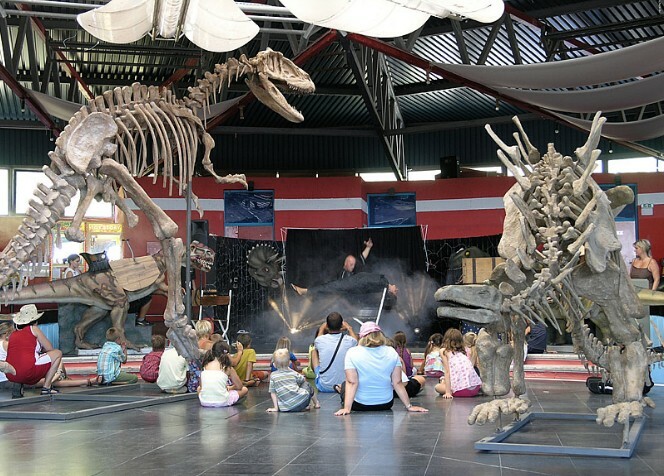 Dinopark Funtana offers exciting tours in the beautiful countryside and varied entertainmentprogram for young and older visitors. 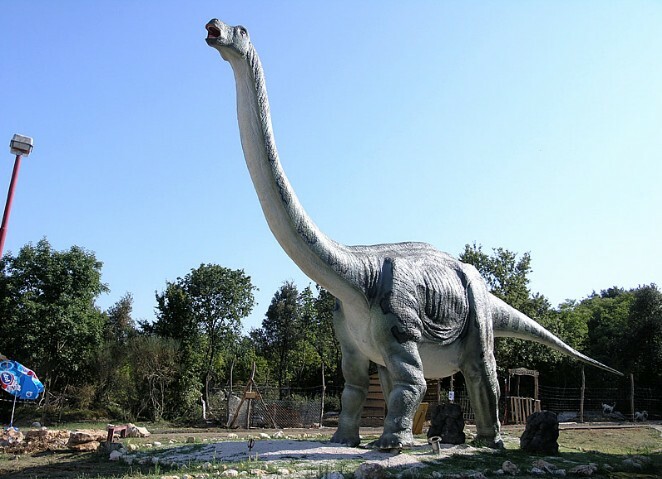 One thing is certain, the age of dinosaurs in Istria begins. Wewould be delighted to welcome you in our park. Note: Usage of all the fun activities and all the plays in the dino park are free. Photography andfilming are permitted. Dogs must be kept on a leash!